/ Spanish arras ceremony with a modern, Humanistic twist! Spanish arras ceremony with a modern, Humanistic twist! The traditional Spanish/Latin American arras ceremony is an interesting one to say the least. I think you may get what I mean by interesting! 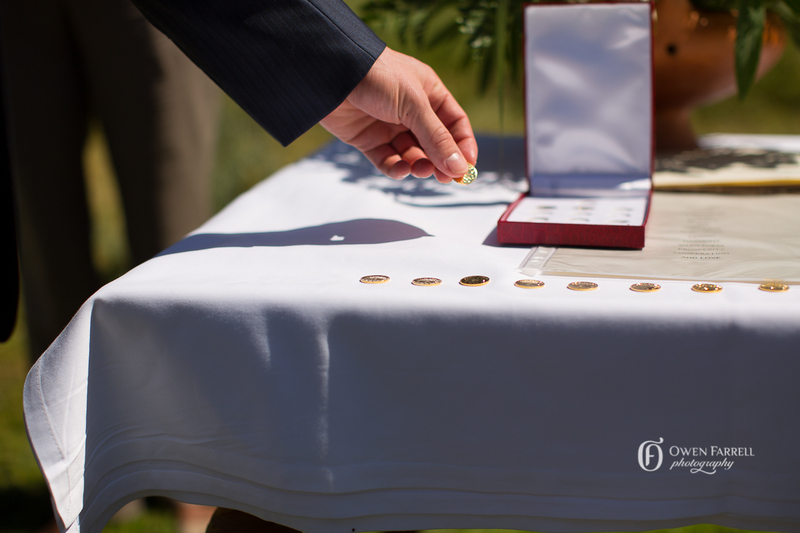 It involves the groom pouring 13 gold coins into the hands of his bride, to symbolise his commitment to provide for her financially, whilst pledging his love and support. I hear some of your objections to my negativity. 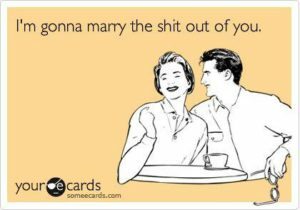 It’s romantic, some say. It’s chivalrous, others say. Hell yes, say others, I want my man to look after me. Yes, I get all of that. I understand that for some couples this may be spot on, but for my own ceremonies I thought I’d do a little bit a lot of tweaking to make something more modern that focuses on the couple as a couple and their wishes, rather than individual responsibilities. The arras coins that I use for my ceremonies are beautiful non religious coins that have an etching of Don Quixote and his faithful companion Sancho with the inscription ‘always forever,’ in Spanish. I love these coins even without the ceremony! So what I did was to then choose 13 words to represent feelings and states of being that the couple would want for their future relationship. PEACE, COMMITMENT, TRUST, RESPECT, JOY, HAPPINESS, NURTURING, CARING, HARMONY, WHOLENESS, PROSPERITY, COOPERATION AND LOVE. The idea is that the couple then picks up a coin each, says the words in order, whilst placing the coins one by one in to the box. Because there are thirteen coins, the last coin the couple place in the box together and say the last word together, which usually is ‘love’ When all the coins are in the box the couple then closes the box to symbolise them sealing their pledges. What I love about my redesigned version of this ceremony is that over the years my couples have personalised it further and created variations for it. Variation # 2 Involve your friends. One fantastic way of involving some of your friends and family members is to include them in this ceremony. I have many couples who choose 12 friends or relatives to come forward and help them to place the coins into the box. Couples usually allocate a word to the person in advance, so they know what word their coin represents. One couple even went so far as to ask their coin bearers to not only say the word and place the coin into the box but to also say a few lines about what they felt the word signified for the couple. I love that! Give your guests some homework and make them read it out during the ceremony. Smashing! Would love to hear what you think about my take on the Spanish Arras Ceremony.